The mock examination allows you to simulate taking or giving the exam under realistic test-taking conditions. You can also familiarize yourself with the test procedure, tasks and assessment criteria. Whether test candidate, teacher or examiner, the mock examination is a valuable addition to your personal study plan or preparation course. The mock examination helps you become familiar with all aspects of the exam and experience authentic, real-time exam conditions first-hand. 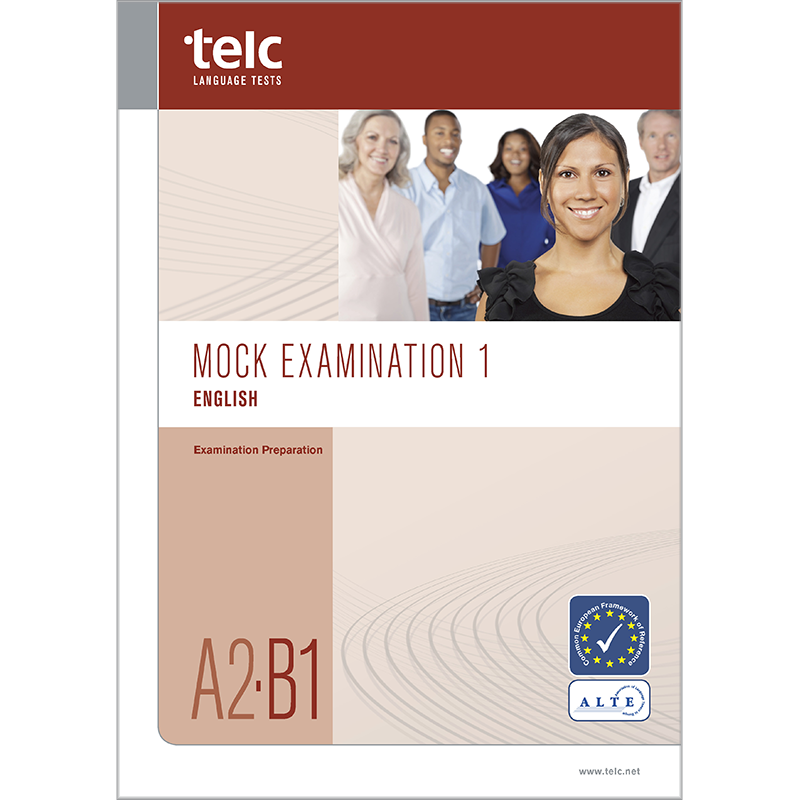 Along with an overview of the exam format and test procedure, the mock examination comes complete with an answer key – for use at home or in the exam preparation classroom. In addition to sample tasks, you will also find an overview of the exam format, which includes an explanation of each subtest, the number and type of tasks, timing, scoring and weighting each part carries in the final grade. There is also a description of the assessment criteria used to evaluate candidate performance for the Speaking and Writing subtests. The audio CD contains the recordings you will need to complete the Listening Comprehension tasks found in the mock examination.